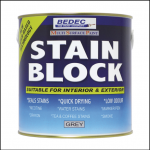 A unique new product incorporating traditional and new technology to produce a water based product that will hold back most normal stains helping to prevent bleed through that can cause unsightly staining on new paintwork. 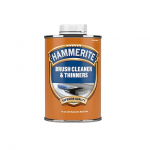 Apply with a brush or roller on walls, floors and ceilings depending on the substrate to protect against staining caused by nicotine, crayon, tea, coffee, water, marker pen, smoke, wine, and many more. Once applied the product will be dry in 2-4 hours and ready for a recoat in just 4 hours in case the stain isn’t completely hidden first time round. Approx coverage 12m² per litre. 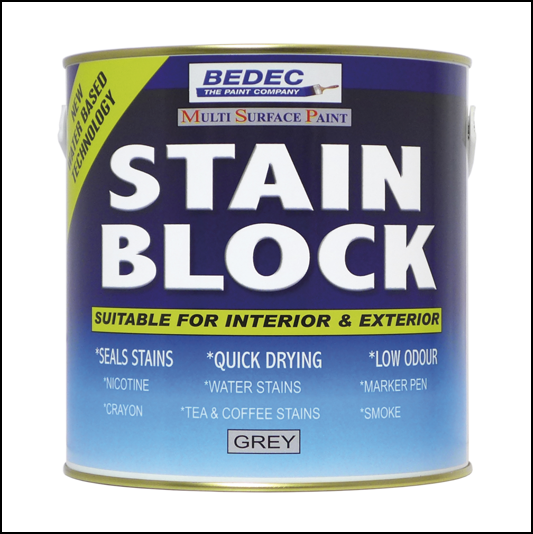 Like this Bedec Stain Block Grey 750ml? 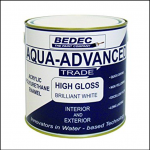 Why not browse our complete Paint & Preservatives range.